As providers of auto repair in Ajax, we were pleased The Town of Ajax was named Smart Commute Employer of the Year in Durham Region, in recognition of their efforts to ease congestion. Ajax has been notorious for difficult commutes, so the town has encouraged employees to choose alternate forms of transport. We’re happy to see reduced congestion, it’s better for people who need the freedom of a personal vehicle to get to work on time. And in that spirit, we’d like to pass along some tips to make your commute easier for you and your car. We’re not trying to be ironic. Sometimes traffic can’t be avoided. However, we’re suggesting that you try a new route or change things up with the help of traffic apps. As experts of auto repair in Ajax, we know the kind of toll gridlock can have on your vehicle. Idling day in, day out can speed up engine wear. Minimize the effects of stop and start driving by changing your oil more frequently. For a recommendation, you can speak to Master Mechanic in Ajax, or by consulting your owner’s manual (look for the recommendation for ‘severe conditions’). What we mean is slow down so you can follow the car ahead of you at a greater distance. This will limit the number of times you need to brake and tires. As providers of auto repair in Ajax, we want cars to be positive spaces. Stop road rage by remembering that every car has a driver and no one wants to be moving at a crawl. Also, it’s been proven that changing lanes usually have little impact on your commute, so you may want to avoid that stress unless it’s necessary. For some more destressing tips check out this BBC article about rediscovering your love of driving. If heavy traffic is unavoidable try to find something constructive or enjoyable to do. There’s a growing trend among commuters to download audiobooks or podcasts. It’s a great way to learn something new. You may even find that your commute time can become “me time”. Even though we are experienced providers of auto repair in Ajax, people don’t always believe us when we tell them that commuting can be just as stressful on their car as it is on them. So, we recommend getting familiar with some of the signs. If your car pulls when turning, or dips when braking you may have a suspension issue. A dashboard warning light is definitely a sign of trouble. Recognizing and addressing these issues early on will give you a smoother, safer commute. Some of us commute for more than two hours a day. Bettering your commute can have a big impact on how you feel at the workplace and in your home. 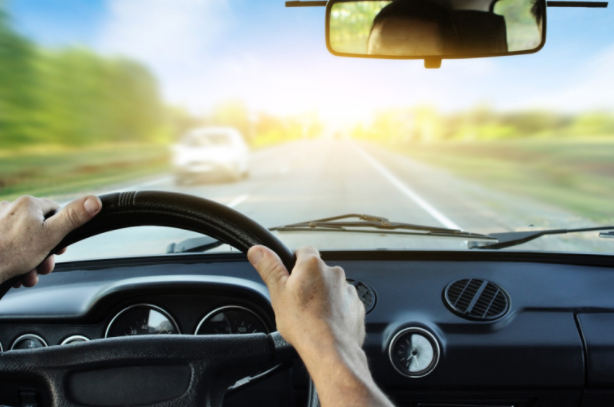 As your friendly Ajax auto repair providers, we want to help make your car an enjoyable and safe place to spend your commute time.